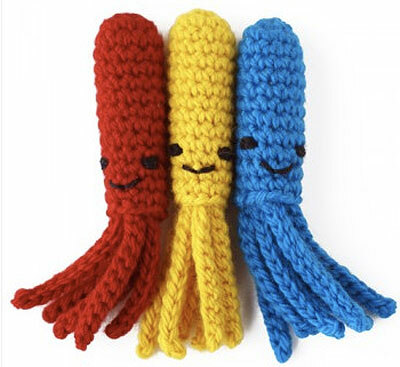 Feline fun and games with catnip squids, crocheted eyeballs, even zombie brains! 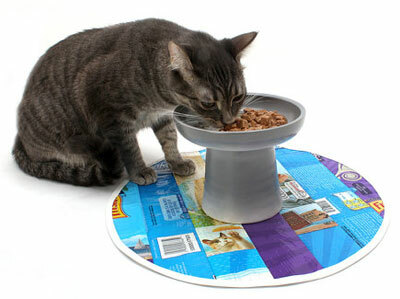 My cat already has the run of our house, but I am always trying to think of ways to bring more fun and pleasure into his day. 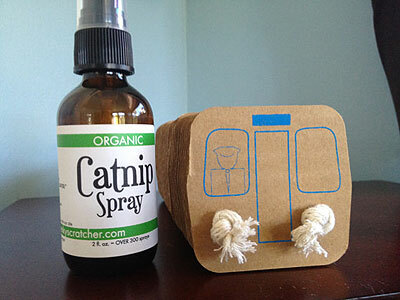 As always, the Etsy community really delivers with plenty of handmade options for kitty. Mostly I was caught up in the catnip toys section, with all the Halloween themed options. 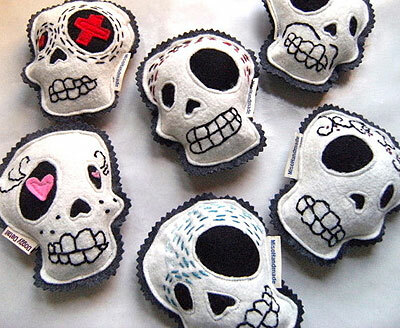 I hardly consider skulls (or brains or eyeballs) seasonal, though. 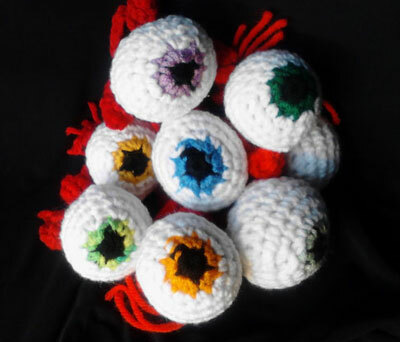 Crocheted catnip stuffed eyeballs with attached optic nerve? Welcome in my home year round. 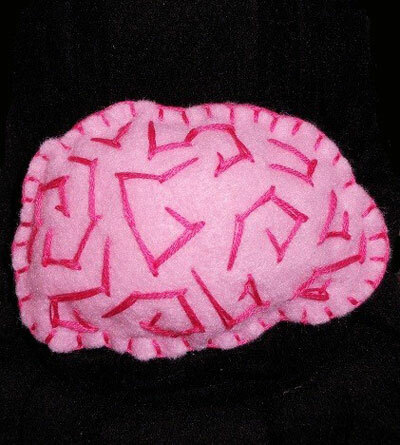 Fuzzy pink “zombie” brain full of organic nip? There’s never going to be a time I don’t want to see the cat tussling with a brain. And I can’t wait to see Kingston wrap himself around the Chicago L (Train) hug & kick toy. Check out all of the feline fun listed below!